You asked, we answered. Here are the answers to the questions you asked after the LinkedIn webinar. 1. I have other specializations not related to NES. Should I start a new LinkedIn profile? That depends. If you want to be known for several specializations that are completely separate, you can have different LinkedIn profiles. You will need to use different variations of your name, such as adding an initial. But consider that for each profile, you will need to build connections, publish articles, update your profile, join and participate in groups, and more. 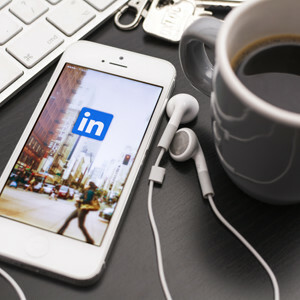 As with anything else, it takes some time and effort to build a presence on LinkedIn, so you need to evaluate how much time you can devote to LinkedIn. You may find yourself spread too thin, and not getting benefits from any profile. My advice is to choose your most important profile and build that up. Later you can consider adding another profile. 2. I have the animal version of ProVision. Should I have a different profile for the animal division? I would suggest you have one profile, and use keywords related to your practice with human, and with animals. They are closely linked, and many practitioners working with people may also be interested in working with animals. 3. How often do we post to LinkedIn? I suggest posting at least once a week. The more you post, the better, especially in the early stages of building your profile. Posting often will increase your visibility on LinkedIn. More people will find you and invite you to connect, which reduces your work in sending invitations. Of course you should still select the people YOU want to connect with, and invite them to connect. 4. How do you build keywords? Once you see some profiles, click on them to see which keywords they use in their “skills” section, which groups they belong to, and who their connections are. These all provide ideas for keywords you can use. Remember, you can always change your keywords with the click of a button, so get started with the ones that seem most logical, and refine them as needed. 5. Which groups should you join? Groups are the most important part of LinkedIn. I suggest joining as many as you can, but they should be in your target audience (the people you want to attract), and not just your colleagues. It’s important to participate in groups, and not just “lurk.” This is too big a topic to deal with in one paragraph. You can get detailed information in this book: LinkedIn Marketing Magic, available at Amazon.com for just $2.99 US. 6. How important are endorsements to increase visibility? Endorsements, called Recommendations on LinkedIn, are very important. Just as most people read the reviews before buying books on Amazon, people read the recommendations before contacting you. Good recommendations add credibility and give people confidence that you are a professional who is reliable and competent. You can ask your clients for recommendations, and recommend people you’ve worked with, who will most likely be happy to repay you with a recommendation. 7. Can we change previous email addresses or add a new email address? Yes, it’s very easy to update your contact information. Just go to your profile, in editing mode, and click the Contact Info button in the bottom right of the screen that has your profile picture. 8. Since I offer career opportunities on my website, should I connect with many different backgrounds? Again, this depends on how closely linked the different backgrounds are. If they are connected, I would say to have one profile and use various keywords that apply. If your opportunities are in totally different fields, you may need to have different profiles for each. Please see question #1 for more considerations. 9. Can you have two profiles on LinkedIn? You can, but you may not want to. Please read the answer to question #1 for considerations. 10. Should I pay for LinkedIn? In general I would suggest staying with the free service until you become a very serious LinkedIn user. I have never used the paid service, and find the free one very adequate for my needs. 11. On the summary, is it a good idea to put our contact information? Yes, absolutely. That’s the whole reason for being on LinkedIn. I have had very few problems with SPAM from LinkedIn (maybe a little), but that’s part of the price you pay for being online these days. But without your contact info, you won’t get much business from LinkedIn.